1) Swamp Ophelia by the Indigo Girls (1994). I have purchased this CD twice, once after the one I borrowed from a friend in college and never returned was so scratched I couldn't listen to it anymore and once again when the replacement started getting scratchy. This is quite possibly the perfect album. From the ballsy "Fugitive" that starts it off to the career-defining "Least Complicated", "Reunion" and "Wood Song", this album represents the pinnacle of the mid-90's Lilith Fair-era girl-folk-rock. Aside from being the very best of a genre filled with excellent performers and songs, this album is incredibly well produced, and paced such that you can listen to it on repeat for hours and never feel like you're spinning your wheels. And I have. For hours, and hours and hours. Of the group of albums I listed here, this one is probably my overall favorite. 2) Across A Wire (Disc 2, from VH1 Storytellers) by Counting Crows (1998). This is a recording of an accoustic live set by Counting Crows of their very best songs, and I have been known to listen to this for days and days on end as well. I wrote probably half of the term papers I wrote at SLU while listening to this CD. Up until I had heard this, I had always written off Counting Crows as quirky, meaningless pop music. The sheer musicianship in this album is stunning, and even more so when you watch the original broadcast. The first disc, which is Live in NY, is not nearly as entertaining, but does have a good version of "Long December" which is absent from the Storytellers CD. In any case, the double-disc is worth the purchase just for the Storyteller's set. 3) Johnny Cash and Willie Nelson (VH1 Storytellers) by Johnny Cash and Willie Nelson (1998). This is the second album that I included that was originally a VH1 Storyteller's broadcast. You can, I'm fairly sure, buy this album on Amazon.com, but it's not available on iTunes yet. I downloaded a version of it in the Napster days that's just an hour-long track, and I listen to the entire thing over and over regularly. This album accompanied me on the long L-train trips to and from massage therapy school in 2003-2004. It will always have a special place in my heart for that reason, but again, it is incredibly well produced and includes some hilarious ball-busting by Johnny and Willie, and to my mind the very best Johnny Cash recording I had ever heard. Every song is excellent here as well, but the highlights were Johnny's "Worried Man", "Billy Don't Take Your Guns To Town", and an amazing version of "Folsom Prison Blues". 4) Feels Like Home by Norah Jones (2004). This is probably one of the more mainstream of the albums here, but still... wow. I've listened to this one hundreds of times when trying to relax or put the stresses of being in school or starting a new job or becoming a parent behind me. There's just something about Norah's voice in the first place, but even beyond that this album in particular was just an incredible slam-dunk. And it was her second album, no less. So much for the Sophomore Slump. There was a big jump in production value and in overall cohesiveness of this one over Don't Know Why, and Don't Know Why was already terrific. High points are "The Long Way Home", "What Am I to You? ", and "Sunrise" (which was one of the main songs of my wedding). There are several other excellent songs on here, but to be honest with you by the time the album gets that far I'm usually snoozing and having happy dreams of warm places and cheerful people. 5) Trouble by Ray LaMontagne (2004). My favorite new artist since the turn of the century, and his first album was so smoulderingly intense that I listened to it non-stop for several months when I was working for the orthopedic docs downtown. I used to stock shelves and just zone out while listening to this on repeat. I had a 40-gig iPod, one of the old ones that eventually died, and I sometimes think I could have gotten away with a 16 MB one, because that's all it would have taken to load up this one particular album. I am still amazed by how many people say they haven't heard of Ray LaMontagne. Buy this album immediately if you don't already have it. It's so good you don't need anything but my word for it. 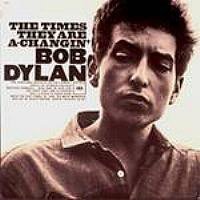 6) The Times They Are A-Changing by Bob Dylan (1964). It was hard to choose a favorite Bob Dylan album, because so many are outstanding and would qualify for this list by themselves (Desire, Bob Dylan, New Morning), but this is the one that listens best from beginning to end. I bought this album about three weeks after going to college and it is in my CD player rotation to this day. Every time I listen to it I have a new favorite song, and the overall song selection is of such high quality that literally every song is legendary. 7) Meteora by Linkin Park (2003). Again, Linkin Park's three albums could almost all qualify for this list. There were two tracks on Hybrid Theory I didn't care for, and Minutes to Midnight though excellent wasn't quite as cohesive and tightly-produced as Meteora. This album is rock/hip-hop fusion at its very finest. This is the sound that I was listening to during the dawn of my 20's, and it will always hold a special place in my heart and on my workout mix. 8) Flutterby by Butterfly Boucher (2004). This album is the very example of what it means to be listenable from beginning to end. There are a couple of slower tunes that feel like deep breaths in a dance club to break up the otherwise utterly energetic and tightly produced (but not overproduced) pop sound of Aussie Butterfly Boucher. She has appeared on a lot of different things, but this was her first and only album so far. Nonetheless, it remains a regular in my car CD player where I can't and don't want to have to choose tracks and make mixes to listen to. 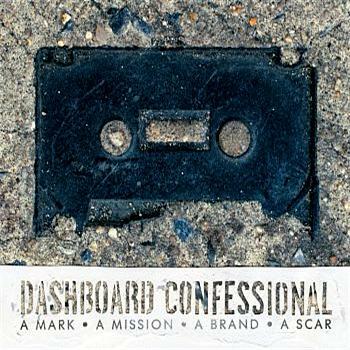 9) A Mark, A Mission, A Brand, A Scar by Dashboard Confessional (2003). Other than the fact that the title of this album includes my full name, it is the career-defining and as of this writing still the best effort from Chris Carraba and Dashboard Confessional. High points are too numerous to list, and this is another album where I have a new favorite track every time I listen to it. This may not be the album that launched the Emo genre, but it remains possibly the best example of it. Very well produced and paced, and fortunately lacking the occasional downer of a track that their other albums have been known for. 10) Crash by the Dave Matthews Band (1996). For anyone born between the years 1976 and 1979, this album represents quite a bit. Freedom, growing up, leaving home, college, falling in love... For a period of about three years, this might as well have been the only album produced. Everyone had it, everyone loved it, and everyone remembers where they were when they thought that Dave and the guys were singing "Crash Into Me" or "Two Step" or "Say Goodbye" right to them. Not only have I worn out a disc of this album, but I know how to play most of the songs on the guitar. Some folks will probably try to argue that Satellite or Before these Crowded Streets were superior albums, but there's just no way. Consistent, incredibly well produced, and for the in-between generation that I'm a part of, timeless.